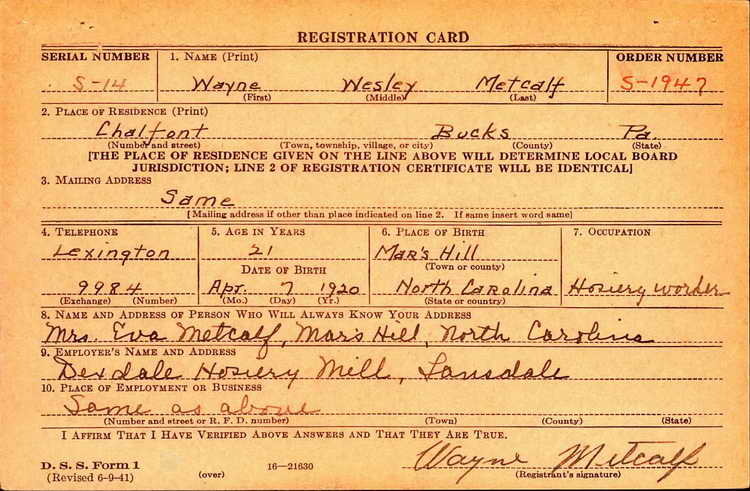 Wayne registered for the draft in Chalfont, (Bucks county), PA. at that time he was employed by the Dexdale Hosiery Mill in nearby Lansdale. 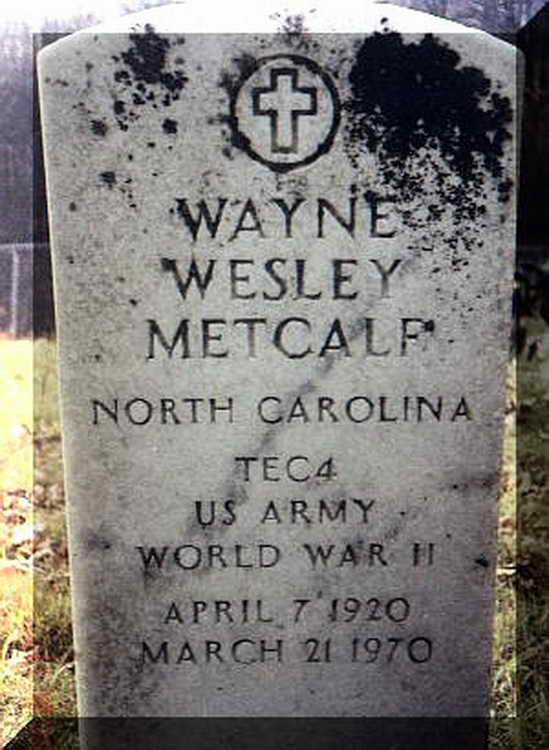 Grave marker for Wayne W. Metcalf in Divide Cemetery (Madison county), North Carolina. 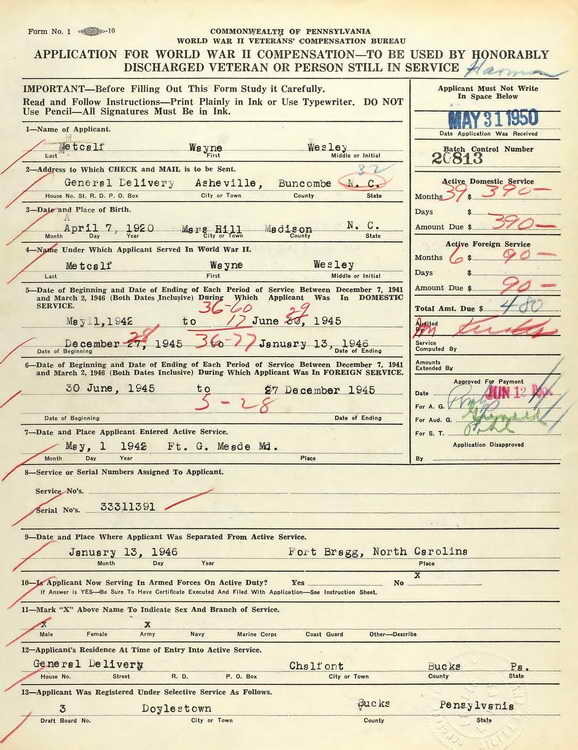 Wayne enlisted in the Army at Philadelphia, PA. Official records differ on the date as some say 1 April 1942 while others state 1 May 1942. The latter appears most often. T/4 Metcalf was discharged on 13 January 1946 at Fort Bragg, NC. 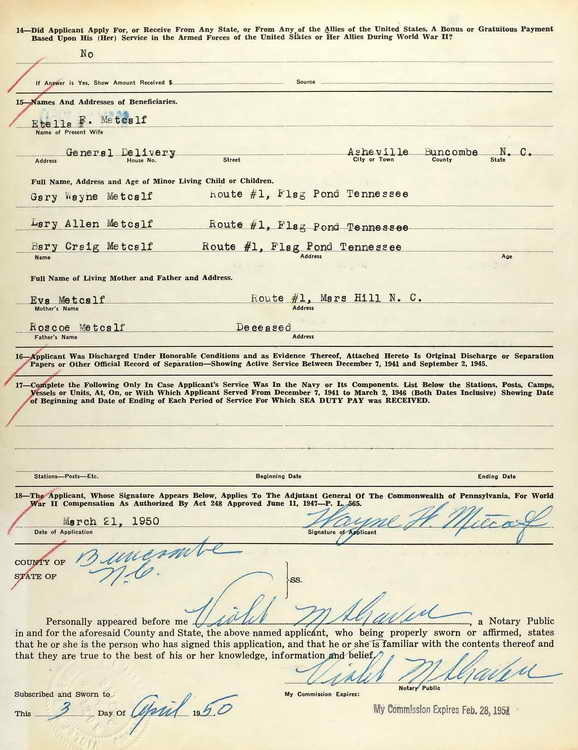 Following the war, Wayne applied for the Pennsylvania WWII Veterans Bonus. He was credited with 29 months of domestic duty and 6 months of foreign service, receiving a $480 bonus payment.